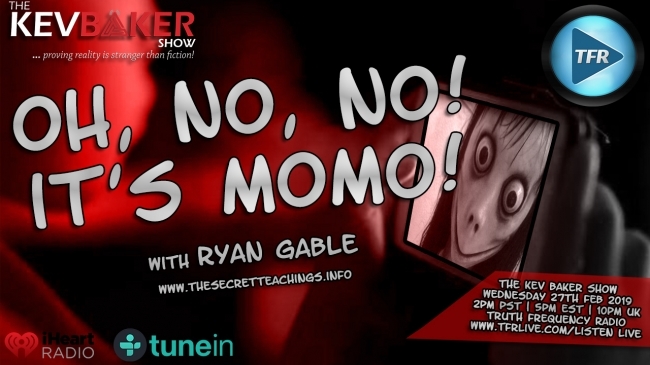 Ryan Gable joins the show to discuss the recent re-emergence of something called The MoMo Challenge. This “game” targets children via WhatsApp & other social media, giving a list of dares to the child in question. This then leads to the child to be dared to harm themselves or others around them. Violent images are sent to the aswell & ultimately the final challenge is to kill themselves to have a chance of meeting MoMo. Is this just something to phish for data, created by online trolls & scam artists like we are being told? Or is there something very much darker at work here? Then in Hour 2 of the show im joined by Don Wiskin, the man behind Xtendovite. We discuss heart & circulation issues, both of which can be helped by using Xtendovite. Frank calls into the show to share his experience on Xtendovite & more….